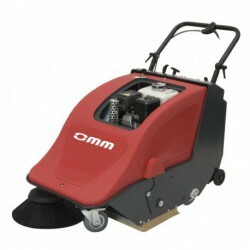 The OMM 700-ST sweeper with Honda motor is a small cleaning machine with excellent results to clean all kind of medium-sized surfaces, like industrial units, offices, shops, restaurants, etc. 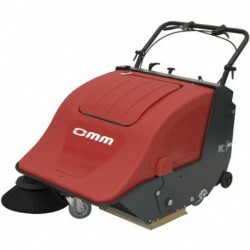 Very easy to use, light, and comfortable, it has a powerful Honda Power GX Manual Starter motor that providesÂ it with great collection power, along with anÂ incorporated vacuum to prevent the expulsion of dust, making it highly effective. 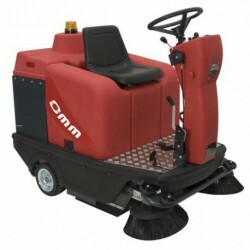 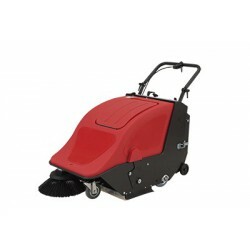 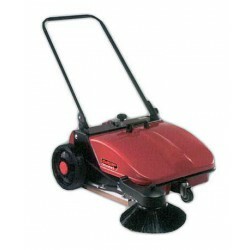 This sweeper with Honda motor has a reinforced metallic chasis to prevent bumps and tears and mechanical traction, to make the job easier for professional hygiene workers.